Add to your collection or start one now with this quality pin badge. A superb miniature Lancaster finished with 22 carat gold plate and fitted with an elegant clutch. Wear with pride! Supplied gift boxed. 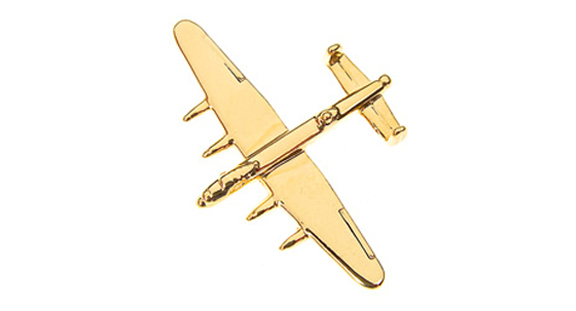 Add to your collection or start one now with this quality Lancaster badge gold small. A superb miniature Lancaster pin badge finished with 22 carat gold plate and fitted with an elegant clutch. Wear with pride! Supplied gift boxed.